Girl Effect has been working with Gavi, the Vaccine Alliance, to break down negative attitudes and behaviours that prevent girls accessing the HPV vaccine. Read Deputy CEO of Gavi Anuradha Gupta's piece on how Girl Effect's Zathu band help challenge perceptions and generate demand for the newly introduced HPV vaccine in Malawi, on LinkedIn. 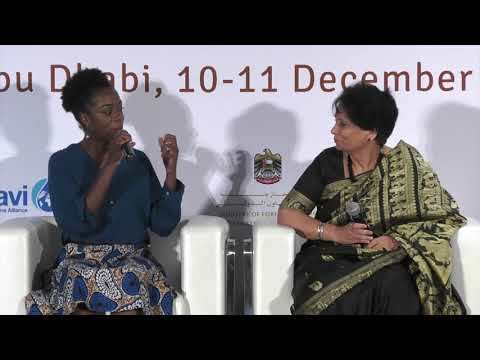 Zathu cast member Theresa speaks to Gavi Deputy CEO Anuradha Gupta at the Gavi Mid Term Review. You can read more abut what Girl Effect does with Gavi here.